In my haiku study I'm learning that Japanese haiku is not structured with 3 lines of 17 syllables, 5-7-5, but instead counts "sound units," which are shorter and more regular than English syllables. 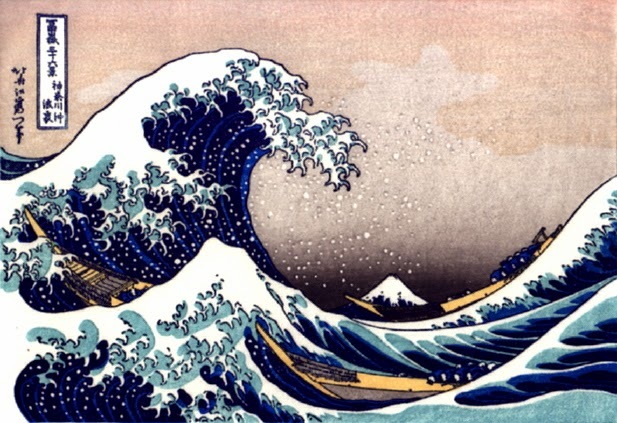 A recently published essay by Toshio Kimura called "A New Era for Haiku" handily summarizes the essence of haiku, which lies in these characteristics: shortness, a fixed form of some kind, humor (which surprised me), "haikuness," and "kire" or cutting, which results in the juxtaposition of two or three images. It also explores the deep cultural traditions of haiku in Japan and the changing ways of reading and writing it around the world. And here's one of my attempts from this past week, watching Duncan and his friend in the ocean at Rehoboth. I think I'll need to go back this week and look at that one with my new reading in mind--does it have haikuness? does it break my rules or follow them? What are my haiku rules anyway? And is it true that publishers for children are going to want only haiku that follow the 5-7-5 pattern? In the meantime, please surf on over to Buffy's Blog for the Poetry Friday roundup, and I look forward to hosting you all next week for the Independence Day edition of Poetry Friday! Well, hello. Long time no see...a VERY long time, and the glorious feeling of finally being on summer break (which really only came over me fully yesterday) is so consuming that I actually FORGOT that it was not just Friday but Poetry Friday until just now, as I was studying the Bare Bones School of Haiku, Lesson 6. I found my way to these extremely helpful lessons via Robyn Hood Black's blog, where I knew I would find good resources. Until Wednesday, I didn't know I would need them, but the moment I began entertaining the notion of a poem-a-day project this summer, a poem aspiring to be a haiku popped out. I've known for a while that I was still laboring under the 5-7-5 oversimplified haiku form that I learned as a 3rd-grader, but I hadn't had a chance to learn a more authentic approach to haiku in English. 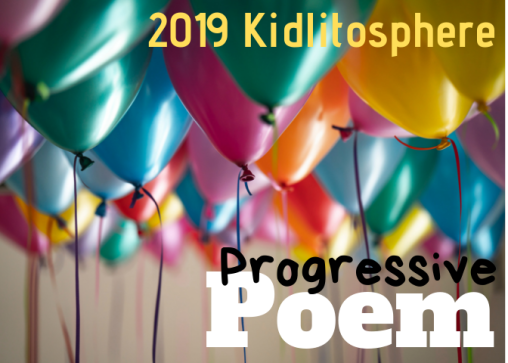 Now I have the chance, and by Jane Reichold's Lesson 5 I was able to improve my initial Wednesday effort, and so I offer this welcome to my Haiku Summer (even as I begin a third major revision to my WIP). 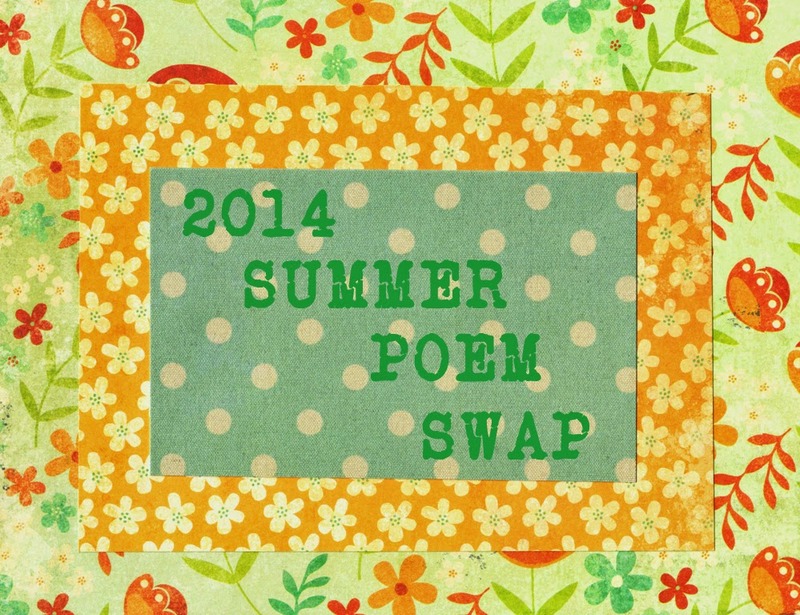 I'm also delighted to be participating this year in Tabatha's Summer Poem Swap. I received a doubly well-crafted spirit animal poem from Irene Latham, and I sent a double acrostic to close out the school year to my first partner, fellow teacher Linda Baie. What fun to get and send real mail! Thanks for visiting my juicy little universe today. Find more summer poetry goodness with Jone at Check It Out!